Typical private Campground. Stuff as many campers in as possible to make the bucks. Poorly maintained, electrical hazards everywhere with wires laying on top of ground. They do have lots of shade and they'll cook you a lobster every night. Convenient to Bath but I won't stay there again. Fresh Maine Lobster Cooked everyday!! If fresh Maine lobster is your passion, then Meadowbrook is the place! WE HAVE OUR OWN LOBSTER POUND ON-SITE AND WE WILL COOK THEM AT NO EXTRA CHARGE EVERY DAY! Eat in our cozy sun room located at the front of the store, at the recreation hall or back at your campsite... the choice is yours. If pizza and burgers are more to your liking, then stop by The Meadowbrook Snack Shack our on-site snack bar. 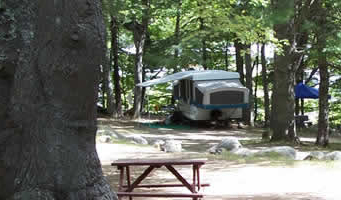 Meadowbrook Camping, is a family owned and operated campground nestled on 60 acres in Phippsburg near Bath Maine. 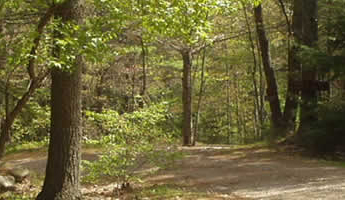 Located just 2 1/2 hours North of Boston, Meadowbrook is centrally located in the Mid-Coast Maine and just minutes to Popham Beach, the prettiest Beach in Maine With our central location, many travelers use Meadowbrook as a base camp, enjoying the surrounding area on day trips, shopping, visiting museums, aquariums and more! Of course there is also plenty to do here at the campgrounds as you can see by the list below. Choose from or wooded tent sites or 15/20/30 amp EW and 30/50 amp EWS sites. Maybe camping is not your style but you do enjoy the outdoors. 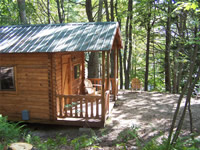 Why not try one of our rustic cabins or cottages with all of the comforts of home! Now you can enjoy the best of both worlds! Hope to see you soon!